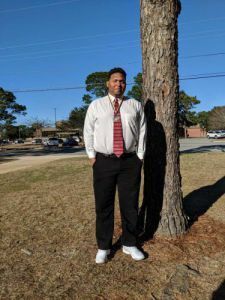 Pensacola State’s Collegiate High Future Business Leaders of America chapter was named the Outstanding FBLA Chapter of the Year during the 2018 District 1 Conference Awards held Jan. 25 at Pensacola High School. 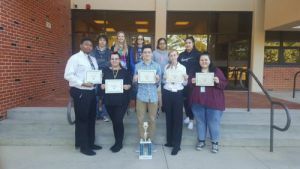 In its first year, the Collegiate High FBLA chapter beat out middle and high schools from Escambia, Santa Rosa, Okaloosa and Walton counties to capture the coveted title. The FBLA is dedicated to helping students improve their leadership skills and achieve academic goals. Two Collegiate High FBLA members – Nicholas Toth and Leslie Etheridge – won first place in Personal Finance and Health Care Administration, respectively. They advanced to the state FBLA Leadership Conference set for March 16 in Orlando. Demarius Daniels and Breana Hundley won second place in Job Interview and Client Services, respectively, and will serve as voting delegates at the leadership conference. 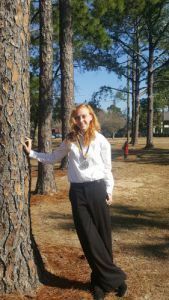 Evelyn Gant, FBLA adviser, said she was extremely proud of Collegiate High’s showing during the competition. “Initially we were just shocked with the award. When we heard ‘Collegiate High,’ we all looked at each other for a minute or so, and then just started celebrating,” Gant said of the Outstanding Chapter award. Since being chartered in 2017, the Collegiate High chapter has held several activities ─ including fundraisers where more than $650 was collected for the March of Dimes. In November, chapter members also held a food drive for Manna Food Pantries. In 2017, the chapter came in third place in the March of Dimes youth division fundraising. Chapter members say they plan to be No. 1 in 2018. “We’re a small group that packs a strong punch,” said Daniels, who pulled from personal experience when he competed in the Job Interview category. Daniels, who will graduate in May, plans to become a nurse. Toth echoed Daniels’s sentiments – saying he used real-life skills he learned while working with his father – in the Personal Finance competition. 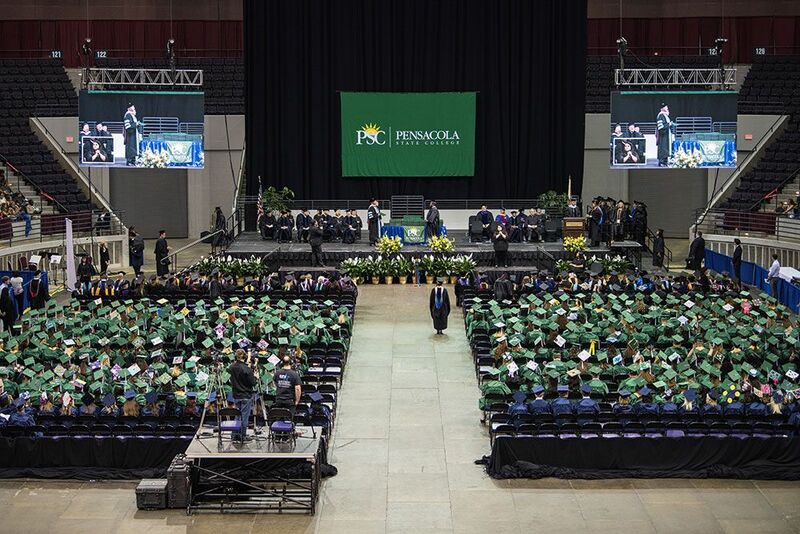 “I’m familiar with creating a budget, setting long- and short-term goals, mortgages, stocks and investing,” said Toth who graduates in May and want to be a business owner. Hundley, who works full-time at Tom Thumb stores, also used practical skills in the Client Services competition. “Since I already work at Tom Thumb, I know the importance of customer service so I was able to use a lot my job experience during the competition,” she said. Hundley will graduate in December and plans to pursue a career in veterinary science. The Collegiate High Future Business Leaders of America chapter was selected the District 1 Outstanding FBLA Chapter of the Year. Nicholas Toth won first place in Personal Finance category at the District 1 FBLA competition. 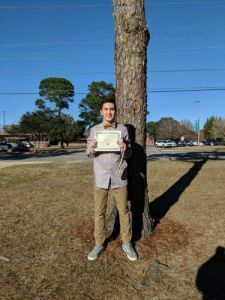 He, along with Leslie Etheridge who won first place in the Healthcare Administration category, advanced to the state FBLA Leadership Conference set for March 16 in Orlando. Demarius Daniels won second place in the Job Interview category. He will serve as a voting delegate at the state FBLA Leadership Conference. Breana Hundley won second place in Client Services category at the District 1 FBLA competition. She will serve as voting delegates at state FBLA Leadership Conference.